On thy grave the rain shall fall from the eyes of a mighty naiton! Today, we honor the brave men and women, who gave their lives for us serving in the United States Armed Forces. 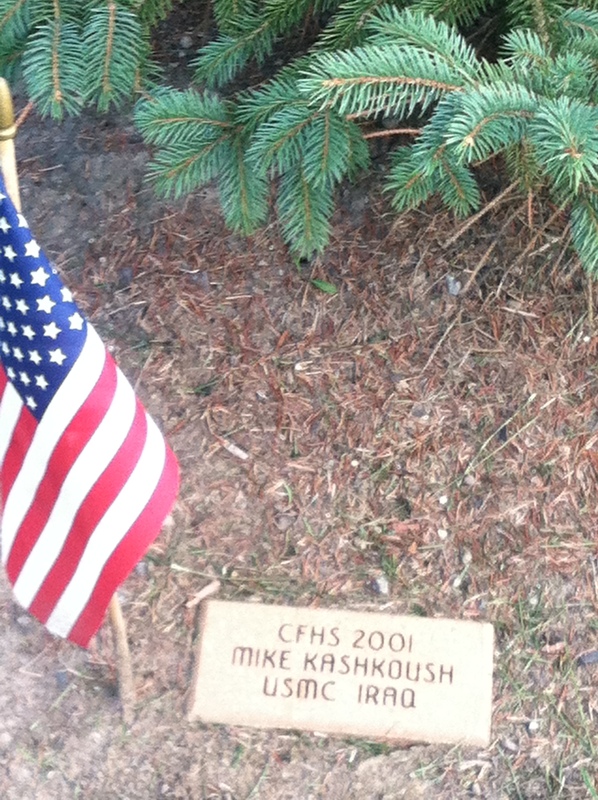 At Chagrin Falls High School, a small memorial honors graduates who died in service to their country. On May 7, 2008, President Bush signed Public Law no-224, naming the Chagrin Falls Post Office in honor of Sergeant Michael Kashkoush. This entry was posted in My Thoughts and tagged gold star mother, Janie Reinart, Love You More Than You Know, Memorial Day, Sergeant Michael Kashkoush by Janie Reinart. Bookmark the permalink.